Maputo — Mozambican president Filipe Nyusi on Saturday ended a four day visit to Mauritius, at the invitation of Mauritian Prime Minister Pravind Junnauth. 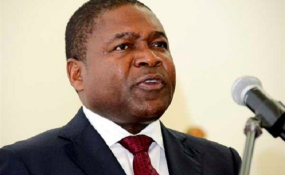 Among the gains from this visit, Nyusi told reporter,s was an agreement for the sale of Mozambican natural gas to Mauritius which could be finalized by April. Nyusi urged Mozambicans to turn their differences into an opportunity to drive the development of the country, just as the people of Mauritius have done. He argued that the basis for the success of this island nation, which only has a million inhabitants was that it had transformed differences into development. Nyusi noted that Mauritians used to be simple sugar farmers and producers, "but they diversified and are now on top, because they put their differences to one side. This is a message we are taking to Mozambicans, namely that our differences are only valuable when they drive development and not when they hinder development". Nyusi praised what he called the "conscious and patriotic" Mauritian civil society, and said the local opposition parties are a further example of the value that differences can bring. "They are envious that we might jump ahead, but we told them we are not competitors, but merely partners in developing our two countries", he added. During his visit Nyusi took part in the commemorations of the 184th anniversary of the abolition of slavery in Mauritius he deposited a wreath on the monument built in tribute to the slaves, most of whom were Mozambican.